The biggest event in Duvall this week is a week-long extravaganza. It’s random, obviously. But random can be good when it includes acts of kindness. Go here for a list of kind missions for each day of the week. 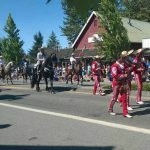 If we are kind and random enough, I bet the guys from Ixtapa would agree to ride their dancing horses down Main Street on June 3rd in celebration. I’ve been trying to figure out how to dress my Edwardian woman, so it was a great relief to me when I saw that the Duvall Historical Society was hosting a class on this very subject – Monday at 7:30pm. Tuesday, the City Council will meet. It’s like The Fellowship of the Ring, but with less jewelry. All applications for Honors and AP classes at Cedarcrest High School are due Friday. 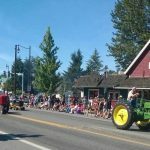 Valley 103.1 Community Radio will be holding a fundraiser/launch event to celebrate the beginning of local community radio in Duvall, Carnation, and Redmond Ridge. It takes place on Saturday evening at 7:30 at the Riverview School District office. Is it just me or is there always something going on at the Sno-Valley Senior Center? This weekend they’re hosting a steak dinner and cake auction. Cakes. Will. Be. Auctioned. If you have event and activity ideas for future editions of What Are You Doing, Duvall? submit them here. I want to keep this short so I can’t include everything, but would love more ideas to choose from each week. Filed Under: Events, What Are You Doing Duvall? Get Free Email From Us… FOR FREE! What Are You Doing Duvall?